WINTER SPECIAL – Enjoy the magic of winter at Sun Peaks Resort! Stay 7 nights, pay for 6!! Why the Hearthstone Lodge is a preferred hotel in Sun Peaks Resort, BC. The Hearthstone Lodge is only a few steps from all resort activities, amenities, restaurants and shops. Sun Peaks Resort is just 40 kilometres from Kamloops, B.C. 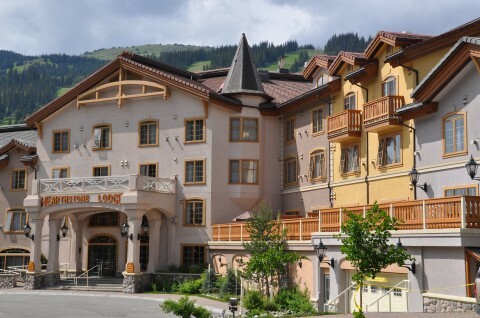 Sun Peaks is Canada's second largest ski area with three mountains surrounding an intimate ski-in, ski-out village. While skiing and snowboarding are at the heart of Sun Peaks, cross country skiing, mountain biking, orienteering, hiking and 18 holes of championship golf are well known Sun Peaks Resort summer activities, in addition to numerous festivals and events. We look forward to welcoming you to Sun Peaks and to the Hearthstone Lodge.